Dr. Black began his career at the Medical College of Wisconsin in 1987, where he developed the Sports Medicine Program. He came to Hershey in 1993 and in September of 2001 became the C. McCollister Evarts Chair of the Department of Orthopaedics and Rehabilitation. On July 1, 2013, Dr. Black assumed responsibility as Vice Dean of the Penn State Hershey University Park Regional Medical Campus in State College. He served as Course Director for the “Orthopaedic Educator’s Course” from 2007 through 2013, the longest running CME program of the AAOS. He was president of the PA Orthopaedic Society in 2014 and was President of the American Orthopaedic Association in 2015/2016. 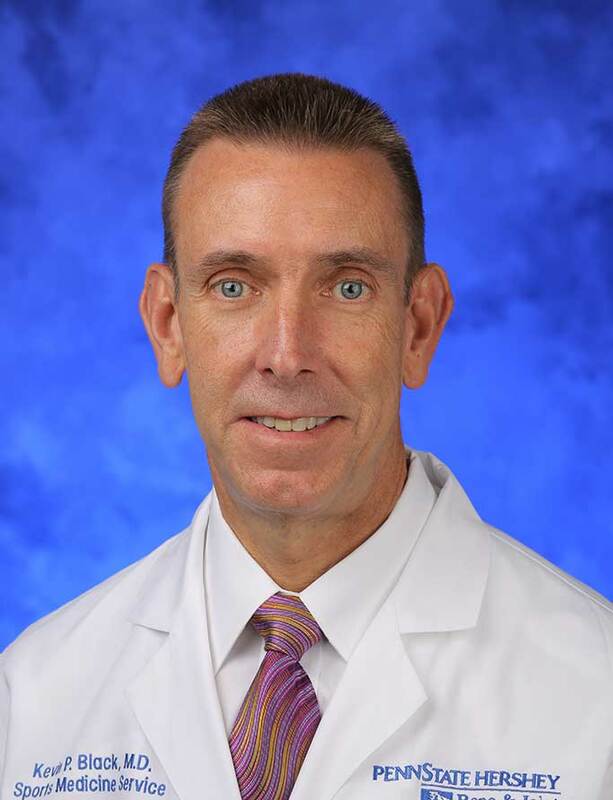 From 1990 to 1992 he was orthopaedic consultant to the Green Bay Packers, and since 1993 has been team physician for the Hershey Bears hockey team. In addition to his ongoing research related to orthopaedic sports medicine, in the past decade much of his effort has focused on resident education. He is currently investigating methods to teach and assess resident knowledge and performance in the Systems Based Practice competency.